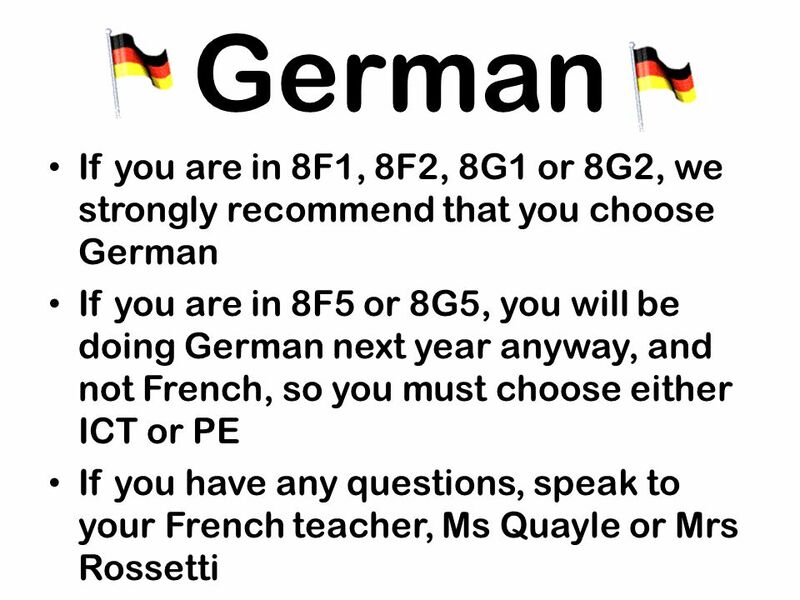 Year 8 Options 2012. 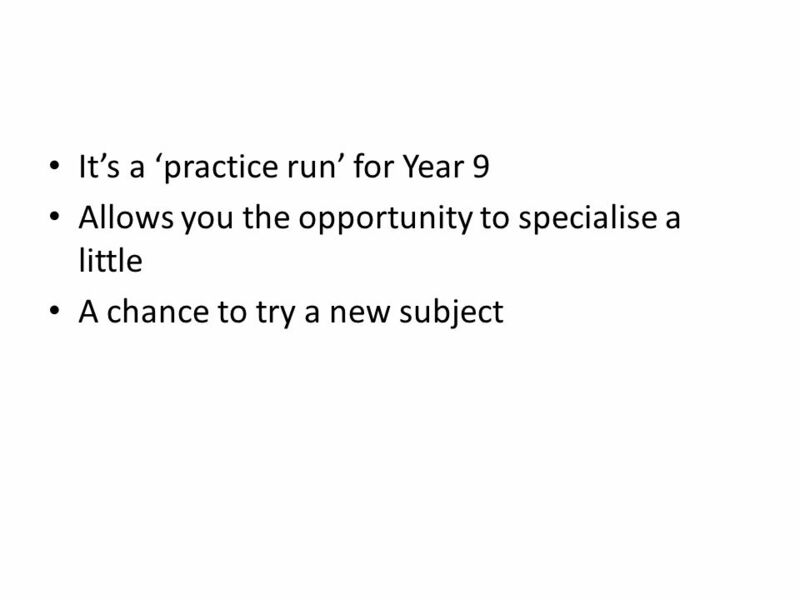 Why make choices in Year 8? 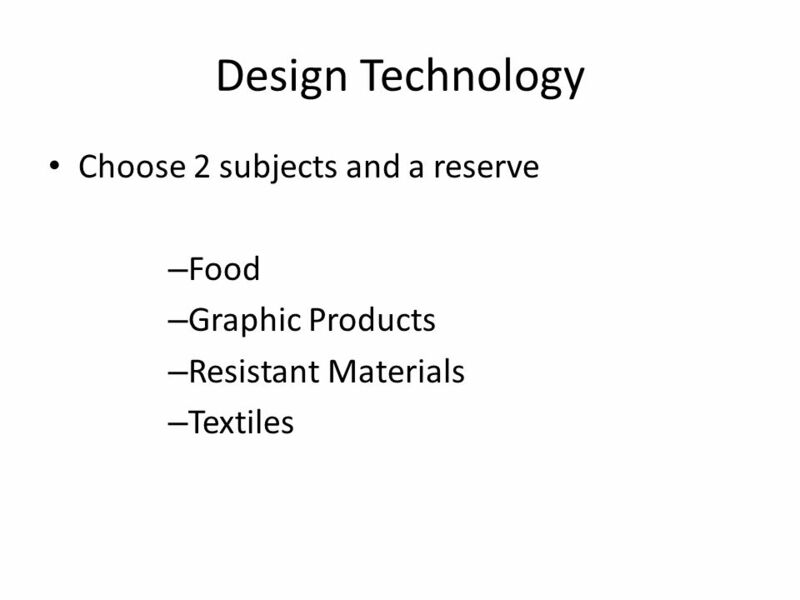 Which subject areas does this affect? 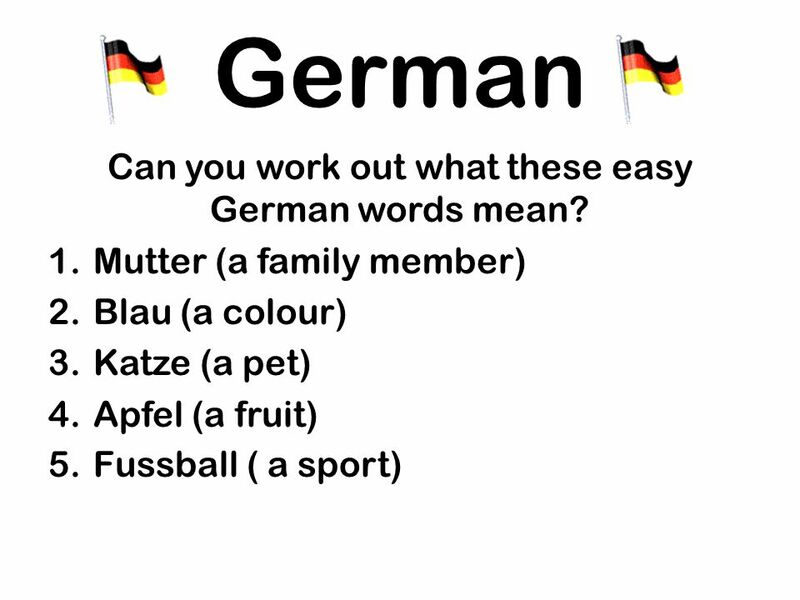 What you have to do after this assembly? 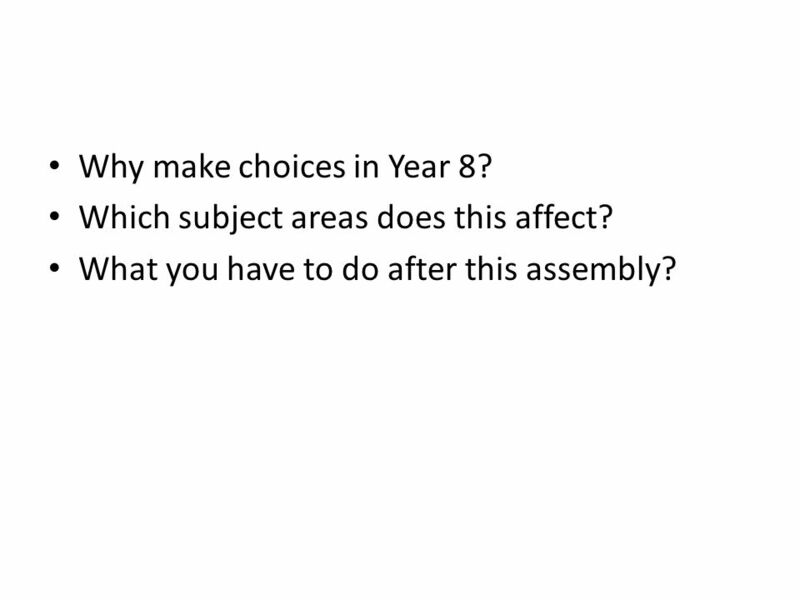 2 Why make choices in Year 8? Which subject areas does this affect? What you have to do after this assembly? 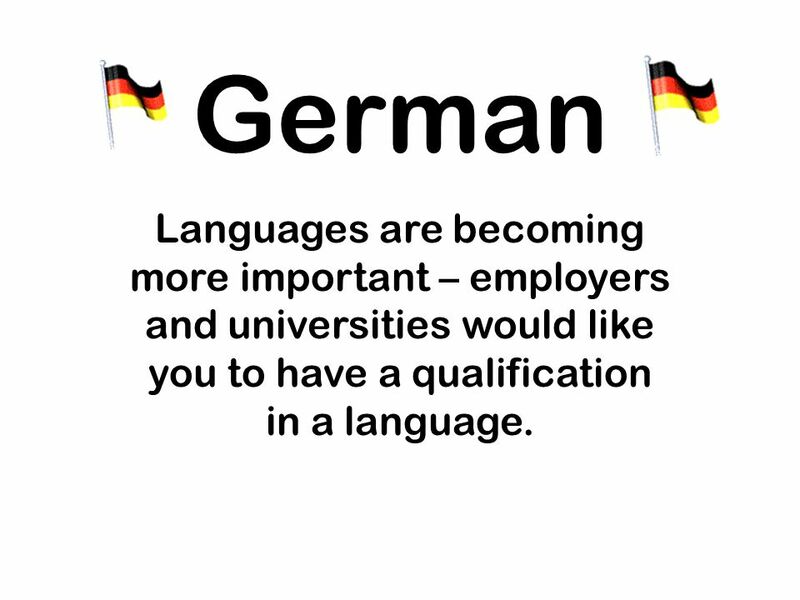 10 German Languages are becoming more important – employers and universities would like you to have a qualification in a language. 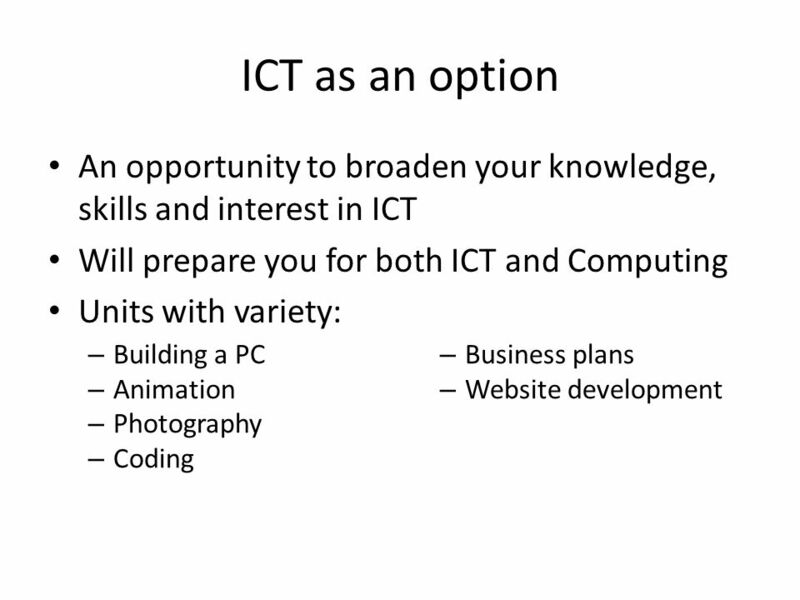 Download ppt "Year 8 Options 2012. 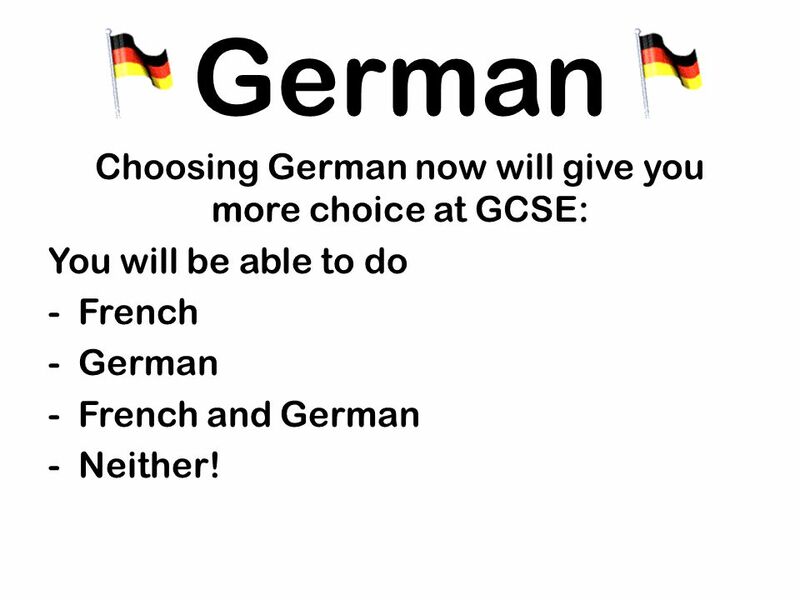 Why make choices in Year 8? 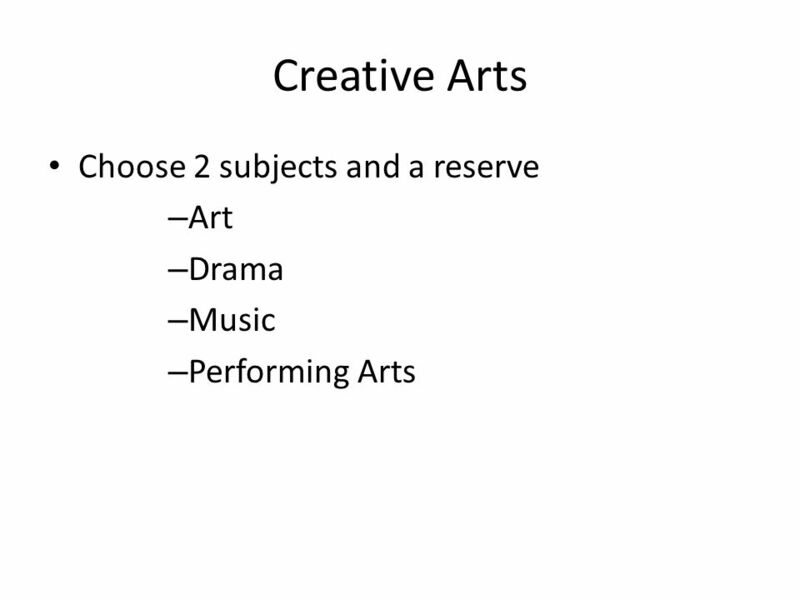 Which subject areas does this affect? What you have to do after this assembly?" 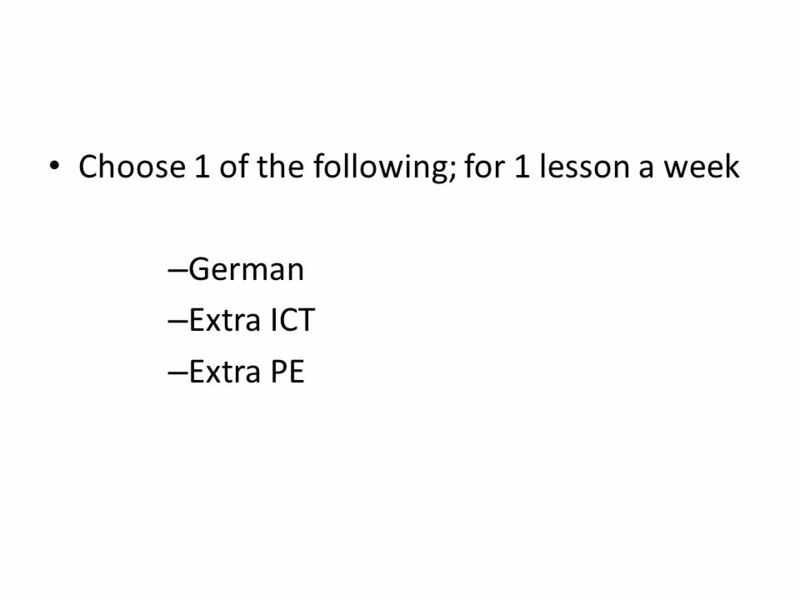 Year 8 options Why? Maximize your progress and attainment Give you choice in your studies Motivate you to work hard in all your lessons. Welcome Year 9 Information Evening Thursday 7th February 2008. Year 8 Options 2013 Making the right choices. How do I decide? Teachers I like? What my mates are doing? What I think will be easiest? Something new? 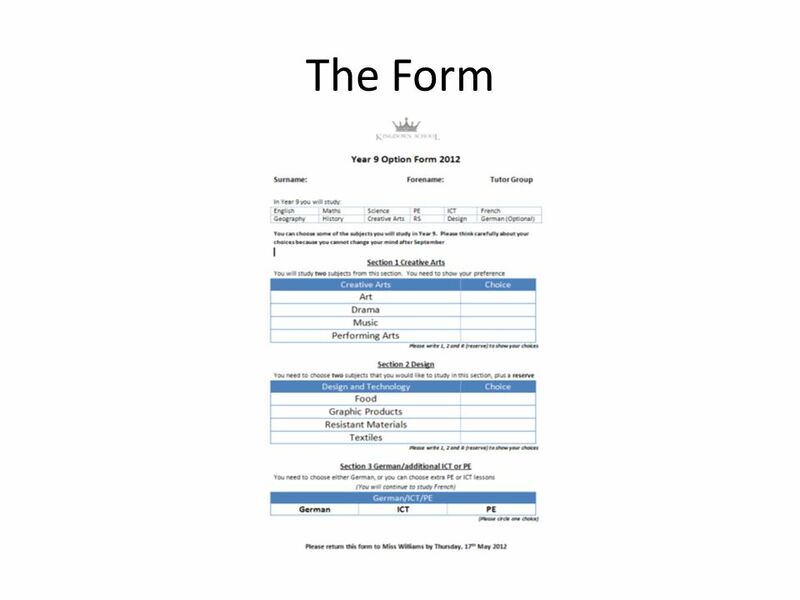 OPTIONS ► On website ► ► Year groups ► Y9 ► Options. 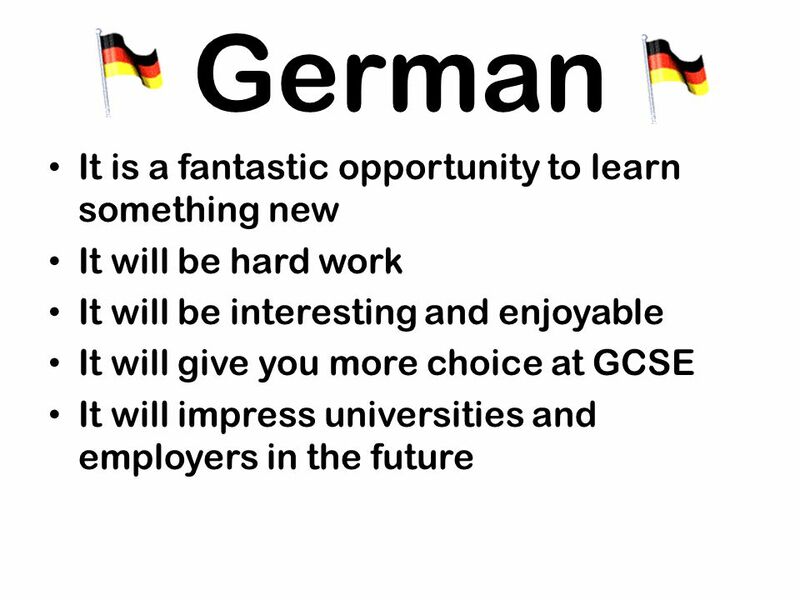  ‘There is a rich and impressive range of courses on offer for older students which match their interests and needs. There is a very strong curriculum. Changes to Key Stage 4 – ‘Increased rigour’  All GCSE exams are now be ‘terminal’ i.e. tested at the end of the course.  That means that there will. 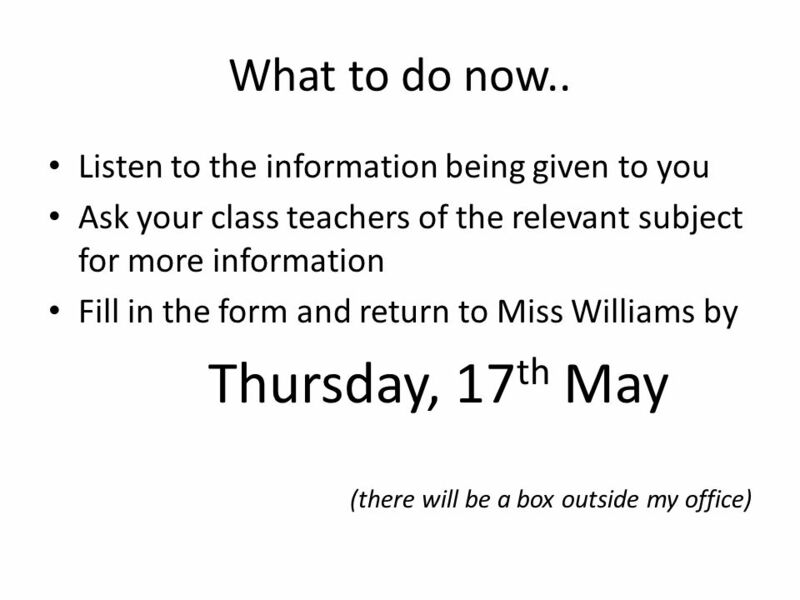 Year 8 Course Selection Information 2015 The Detail. Year 10 Parents Curriculum Information Evening Welcome. 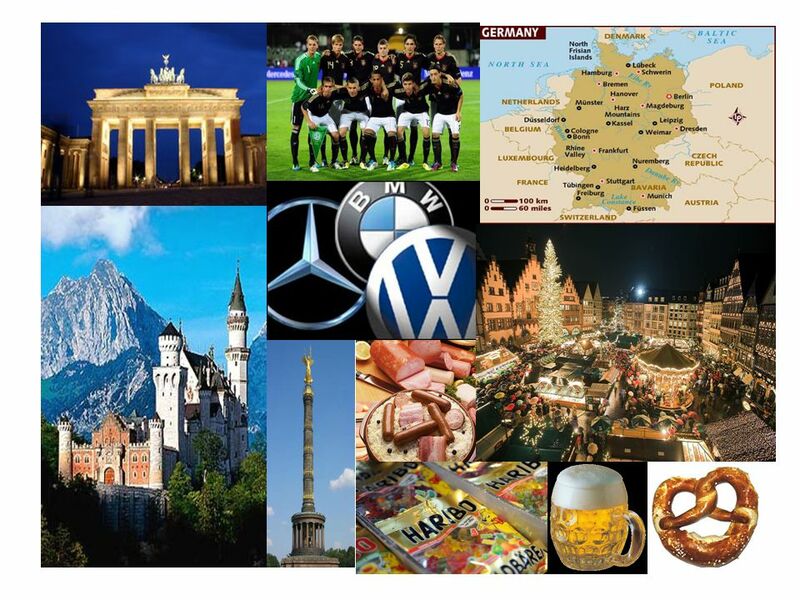 Year 9 Choices Evening 28th January 2016.